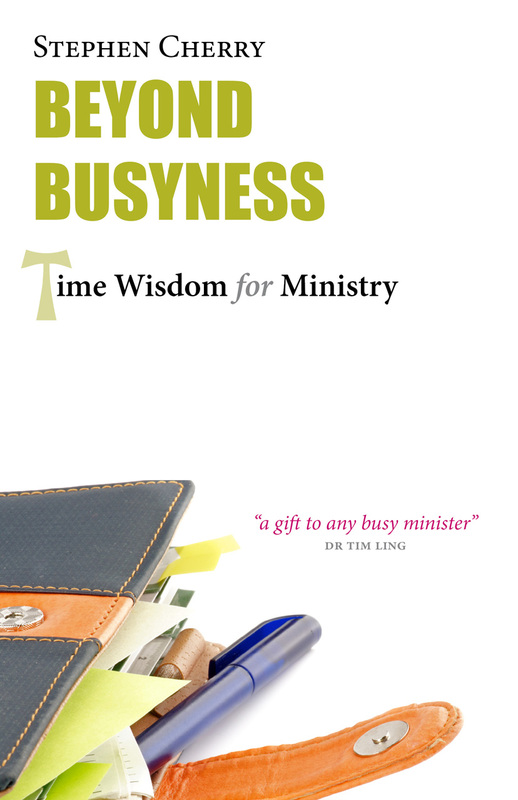 "a gift to any busy minister"
Beyond Busyness is a practical and effective step towards connecting up the limitations of time with the demands and realities of ministry. It helps ministers to take positive steps in developing a time wisdom which will help them navigate the very considerable pressures that many currently face. "Beyond Busyness abounds with practical wisdom for those engaged in Christian Ministry. At a time when busyness, anxiety and stress characterise the lives of many of the Church's ministers, Stephen Cherry has written a much-needed book. It very effectively challenges ministers to reflect on how they approach and use the gift of time. Each of the short 28 sessions offers considerable insight into the nature of time and encourages ministers to confront their current habits and develop new life-giving practices through which their ministry can thrive and they can flourish. Every minister should spend time not only reading Beyond Busyness but integrating its wisdom into their lives." Stephen Cherry is a Residentiary Canon of Durham Cathedral, Director of Ministerial Development and Parish Support in the Diocese of Durham, and author of Healing Agony and the Archbishop of Canterbury's 2011 Lent Book, Barefoot Disciple. Previously, Stephen was Chaplain of King's College Cambridge for five years and Rector of All Saints with Holy Trinity in Loughborough for twelve. His current post combines cathedral ministry with the leadership of the Diocesan Resource Team in Durham and he is also responsible for Continuing Ministerial Development. Beyond Busyness by Stephen Cherry was published by Sacristy Press in August 2012 and is our 21470th best seller. The ISBN for Beyond Busyness is 9781908381057. Be the first to review Beyond Busyness! Got a question? No problem! Just click here to ask us about Beyond Busyness.